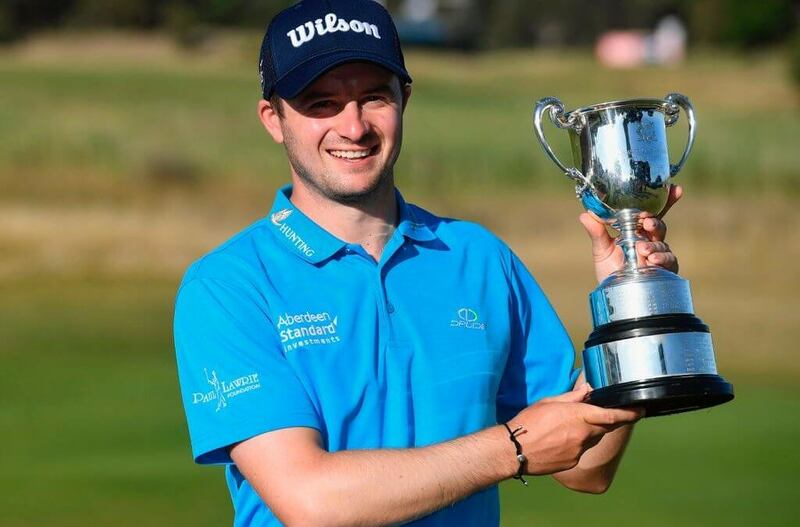 Popular Aberdonian, David Law, secured an incredible win in the European Tour co-sanctioned ISPS Handa Victoria Open in just his 5th start of his Rookie season. A long-time Foundation-supported player, freshly graduated from Challenge Tour, he needed an eagle on the 72nd hole to give himself a chance at the title – his 214yds knocked-down hybrid to around 8 feet was an astounding effort under any circumstance and will live long in the memory – David cooly rolled in the putt to post a best-of-the-day 66 (31 on his back nine) and eighteen under par for the tournament, good enough to fend-off local favourite, Wade Ormsby. It’s an amazing rise to prominence for him and everyone at the Paul Lawrie Foundation is hugely proud of him. Following a very difficult period in his personal life – David & Natasha, his partner, tragically lost their son Freddie during childbirth but recently Natasha gave birth to their daughter, Penelope, just weeks before David secured his European Tour card – David’s achievement is all the more remarkable as it came off the back of a couple of missed cuts in the Middle-East swing. “I never thought it would have happened at the start of today, but I dug in on the back nine. Especially those last three holes, we tried hard to finish really strong. We just knew on 18 that we were in the hunt. Until then it was just try to get in position for a top three, top two finish. “Standing on the 18th fairway we knew making eagle would put pressure on. Hit a great shot in, it was a nice putt, eight feet down the hill, pretty straight. You just needed to get it going. I mean, it was amazing. I kind of thought I pulled it a little bit and it sneaked in the left edge, it was a relief to see it drop.